The best in self storage in Alexandria. Extra Space on Windermere Blvd. 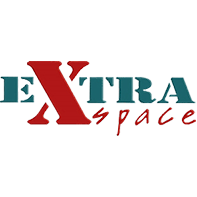 offers affordable, convenient, and high quality storage units in Alexandria, Louisiana. Our facility offers clean units at a reasonable price, with a friendly staff who is available to answer any questions you may have. Whether you are moving, going away to college, or just cleaning out the garage, we feature the best storage units Alexandria has to offer for all your storage needs. Our facility has climate control storage, ground level units, and electronic gate access for your convenience.